The National Anti-Vivisection Society (NAVS) has welcomed support from Sir Paul McCartney, who has joined the NAVS campaign to end secrecy in animal experiments in the UK. Sir Paul is joined by 24 fellow celebrities who have signed up to a statement urging the repeal of Section 24, the animal experiment ‘secrecy clause’ which is currently under review by the Government. Today is the final day for members of the public to have their say on legislation which currently cloaks animal experiments in secrecy. 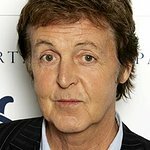 In addition to Sir Paul McCartney, the NAVS campaign to repeal Section 24 is supported by 24 celebrities, including Ricky Gervais, Paul O'Grady, Chris Packham, Joanna Lumley, Twiggy, Brian Blessed, Colin Baker, Annette Crosbie, Gemma Atkinson, Meg Mathews, Alexei Sayle, Sadie Frost, Benjamin Zephaniah, Eddie Izzard, Jenny Seagrove, Lynsey de Paul, Peter Egan, Julia Peasgood, Samantha Womack, Wendy Turner-Webster, Martin Shaw, Prunella Scales, Julian Clary and Ann Widdecombe. Over 4 million animals are experimented on in the UK each year, and the use of animals in research is an issue of considerable public concern. Section 24 of the Animals (Scientific Procedures) Act – the legislation governing the use of animals in research – prevents details of animal experiments being revealed; to do so would be a criminal offence carrying a two year prison term, even with the researcher’s consent. The clause has constrained public debate and inhibited scientific and ethical scrutiny of the use of animals in research. The NAVS is campaigning for the repeal of Section 24 of the Animals (Scientific Procedures) Act, which shrouds animal experiments in secrecy and prevents proper public and scientific scrutiny. Repeal of Section 24 would not compromise health or safety, protection of confidential information or intellectual property, because the Freedom Of Information Act already provides for the protection of personal information and confidential information.